Should we be concerned about this county manager search? My Tuesday evening followed a pattern all too common in my life. I sat at my desk at home with one eye on a sporting event — in this case the National Basketball Association Western Conference Finals game between Golden State and Houston — and the other eye on my computer keyboard, mixing work while also taking a glimpse from time to time at my social media accounts. After Houston built a halftime lead, I noticed a social media post that offered a forecast of the second half of the playoff game. The author told Golden State fans not to worry about the halftime deficit, the Rockets would fold in the second half and the Warriors would take control of the best-of-seven series by winning Game 4 in come-from-behind fashion. If you’re an NBA fan, you already know that prediction did not come true. Golden State did come back to build a 10-point lead heading into the fourth quarter but it was the Rockets who prevailed, using a fourth-quarter rally to even the series at two games each. I learned a long time ago not to take the outcome of a sporting event for granted. I have learned many a lesson of that, both as a sports journalist and as a fan. It’s never safe to be a Monday morning quarterback until it’s Monday morning. I’ve also learned that lesson in life, again, both as a journalist and in my own personal affairs. Things aren’t always what they appear to be. It’s never safe to predict the outcome of a process until it’s completed. I will give you one example from my experiences. Early in my tenure as editor of The Reflector Newspaper, members of the Battle Ground School Board forced the resignation of Superintendent Shonny Bria. In my humble opinion, reasons for their action were already obvious to me, but not to everyone. Over the ensuing months and years, it proved to be a very wise decision by the board members. But, that’s not the point of this anecdote. The board opted to have a pair of former administrators from the district serve as co-interim superintendents during the next school year as the district conducted a search for a new superintendent. It was going to be an important hire and the board members wanted to get it right. At that time, I had a professional relationship with Mark Mansell, who was then the superintendent of the La Center School District. I’m confident it’s OK for me at this point to reveal that, back at that time, Mansell confided in me that after considerable investigation on his part, he had applied for the Battle Ground superintendent position. I think I can also reveal now, due to the fact that Mansell has since retired, I thought the world of him. I’ve respected a number of educators in my lifetime, perhaps none as much as I respected Mansell. He was one of those people who after each interaction with him, I left knowing something more than I did before. From time to time, I still quote some of the wisdom and knowledge he shared with me over the years. As a journalist, it wasn’t appropriate for me to take sides in Battle Ground’s search for its next superintendent. I did have a couple of casual conversations about Mansell with district officials during the search process but I can comfortably look in the mirror and say that I did not advocate for the hiring of Mansell. As the search progressed, I was told Mansell made the final six. But when I was told the names of the final three candidates, Mansell’s name wasn’t in that group. My initial reaction was to ask myself how could there be three candidates better than Mansell? It didn’t seem possible to me. If you’re familiar with this story, you already know that Battle Ground School District search resulted in the hiring of Mark Hottowe as superintendent. As I read Hottowe’s resume, I discovered that he had been a principal in the Longview School District, an administrator in the Kelso School District and a superintendent in the Ocean Beach School District in Long Beach, WA. Not that Mansell’s position as superintendent in La Center was any more impressive than Hottowe’s past, Battle Ground’s new superintendent didn’t offer a career path that made me stand up and take notice. Hottowe served three years as Battle Ground’s superintendent before retiring last summer. In those three years, I interacted with him on many, many occasions. If there was an important story to report about the district, and there were many, I could always count on Hottowe’s availability and I had great appreciation for his direct, occasionally blunt candor, while answering every one of my questions. I developed a great deal of respect for Hottowe in those three short years. Enough respect that I can say it is my strong belief that those board members made a great hire back in 2014 when they tabbed Hottowe out of that group of applicants, which included Mansell. You will read in this story that the two finalists to fill the vacant county manager position are from counties much smaller than Clark County. Schwartz wrote that one finalist, Shawn Henessee, is the city administrator of Pleasant Hill, Missouri, a city with a population of about 8,000 people. The second finalist, Rick Rudometkin, is the county manager of Eddy County, New Mexico, which has a population of about 54,000. At this point, I don’t know much more about these candidates than has been reported. I’m no more impressed by their resumes than I was with Hottowe’s three years ago. And, it may turn out that Hengerer’s fears will be realized in the future. In his interview after Tuesday’s meeting with Schwartz, County Chair Marc Boldt seemed almost apologetic that the search didn’t result in better candidates. Boldt told Schwartz that the robust and growing national economy has led to fewer candidates for positions such as county manager. So, I certainly see reason to be concerned about the quality of these candidates. I’ve also asked myself if our Home Rule Charter, or the poorly explained firing of previous County Manager Mark McCauley, or any other actions by this current council also contributed to the lack of quality candidates. Despite all that, my life and professional experiences have taught me not to call the end of a race until it’s over. 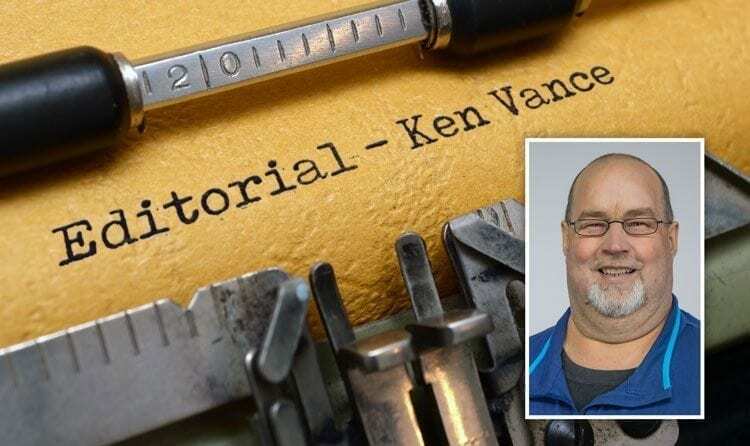 Those of you who read this space regularly, and who followed my editorials in The Reflector Newspaper over the years, know I have not always been a fan of this council. When I disagree with their decisions, I have no problem expressing that. And, I was on record voicing my opposition to the Home Rule Charter approved by Clark County voters in November 2014. My opposition was due in large part to the fact that the charter took power away from the elected councilors and gave it to the county manager. I have my concerns of how the charter has impacted our county government. And, like the citizens who testified Tuesday before the councilors, I too have my suspicions about this year-long search for a new county manager and the two finalists it has produced. But, just like I did three years ago in Battle Ground, I’m keeping an open mind. We don’t know yet how this game is going to play out.